It always amazes me that talent to be found on Etsy. I went looking for a little bit of glamour on Etsy today I found this absolutely stunning necklace. 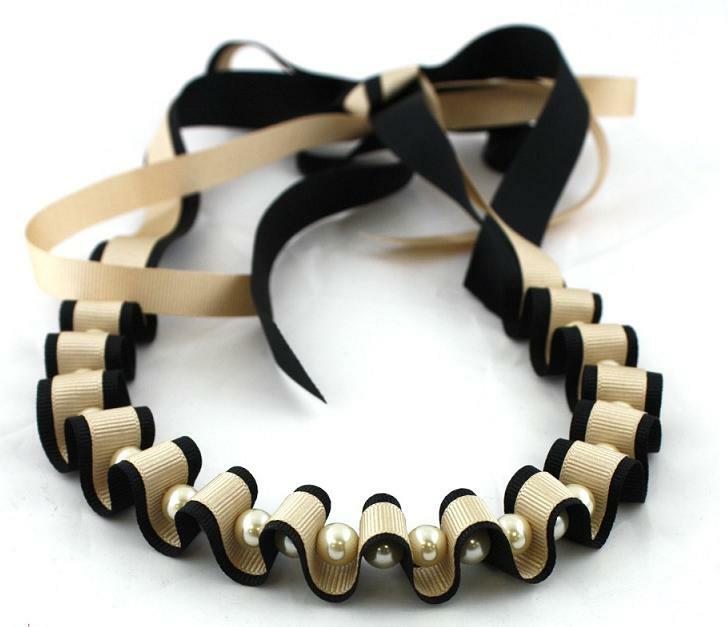 I love the curves in the ribbon set with pearls, a little bit of glamour that is different and unusual. Maneggi on Etsy has the lovliest ribbon based accessories and you can find her here http://www.etsy.com/shop/maneggi.